Small: H 9.75" x Dia 11"
Extra Large: H 16.5" x Dia 5.75"
The Dupioni Vase - Chromium collection is imperial in shape, reminiscent of the durable, infamous pottery of ancient Greece. 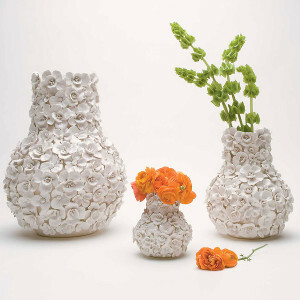 Handcrafted in fine glass artware, these vases create a dramatic statement separately or grouped together as an ensemble. Available in 3 sizes.